The InterNACHI member shall not perform or offer to perform, for an additional fee, any repairs or associated services to the structure for which the member or member’s company has prepared a home inspection report for a period of 12 months. This provision shall not include services to components and/or systems that are not included in the InterNACHI Standards of Practice. The InterNACHI member shall comply with InterNACHI’s current Continuing Education requirements. 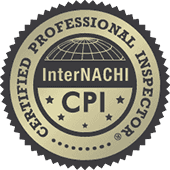 The InterNACHI member shall pass InterNACHI’s Online Inspector Exam once every three years. The InterNACHI member shall abide by InterNACHI’s current membership requirements. The InterNACHI member shall abide by InterNACHI’s current message board rules. Designed by © 2019 Shawn Chesney Home Inspections | Powered by www.schi.ca.